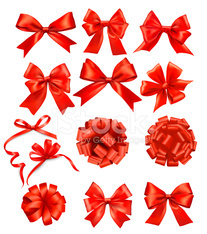 Set of red gift bows with ribbons. Three medical banners with icons. Vector. Big set of gift bows with ribbons. set of black and Red bows.